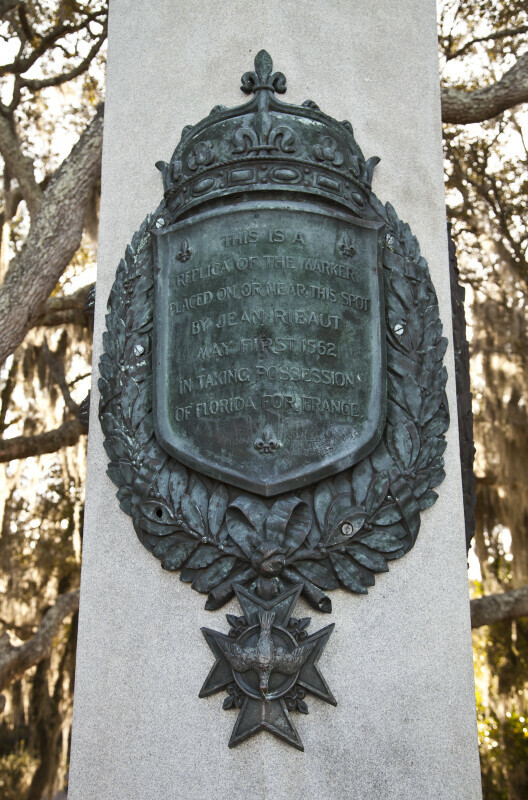 A plaque on the corner of the Ribault Monument commemorating the marker placed by Jean Ribault nearby. "This is a replica of the marker placed on or near this spot by Jean Ribaut, May First 1562, in taking possession of Florida for France." WARNING: You are about to download a 55.7 MB TIFF!